As a Tally Partner (TP), we provide Services & Solutions which includes installation, training, support, migration, customization, integration and also a complete enterprise solution on Tally ERP9 in association with BE Solutions Pvt Ltd (Master Tally Partner). 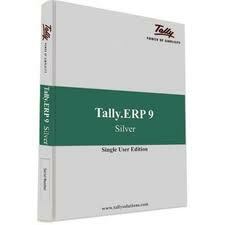 At present, Tally ERP9 is available in two editions i.e. Silver (For Single User) and Gold (For MultiUser). Since Silver supports Remote Access as well, you can authorize access to your Chartered Accountant, who with his Auditors’ Edition of Tally.ERP 9, can remotely provide audit, compliance and advisory services. Where more than one computer needs to have access to Tally.ERP 9, a Gold edition is what you need. Any number of users can simultaneously have read and write access. Note, that there can be some degradation of performance with a large number of users and we have found that the Gold edition is usable with a maximum of ten users. (Series B will deliver the Diamond & Platinum editions with support for hundreds & thousands of users). With Remote Access, you can authorize access to your Chartered Accountants, who with their Tally.ERP 9 - Auditor's Edition , can remotely provide audit, compliance and advisory services. As a Gold user, you can create ten Tally.NET identities, with which your mobile users can login to your system from home or while on the move. Other users of Tally.ERP 9 can also grant access to you by authorizing these Tally.NET identities.